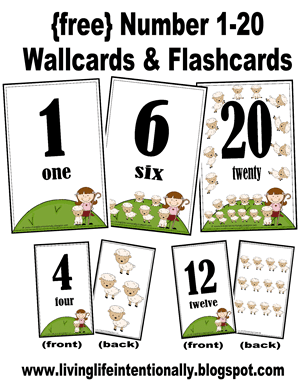 Here is another great homeschooling freebie, Number Cards to use to teach numbers 1-20. These looks really cute. You can go over to Living Life Intentionally to get this great freebie. Thanks for letting us know about this. I want to try teaching my 3-year-old his numbers and letters before he goes to preschool next year…this will be perfect! It is always great when you can find a resource you need for free isn’t it.